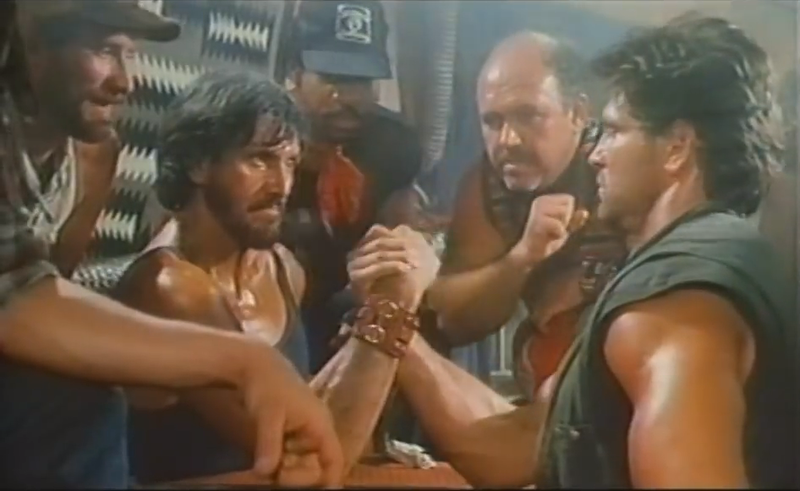 Atomic Cyborg aka Hands Of Steel would seem to be a rip off of Cyborg at first glance, but it was released 3 years earlier than Cyborg. It plays out more like a cross between The Terminator, Short Circuit and Bladerunner but with a much lower budget. The acting is pretty solid from all cast members. 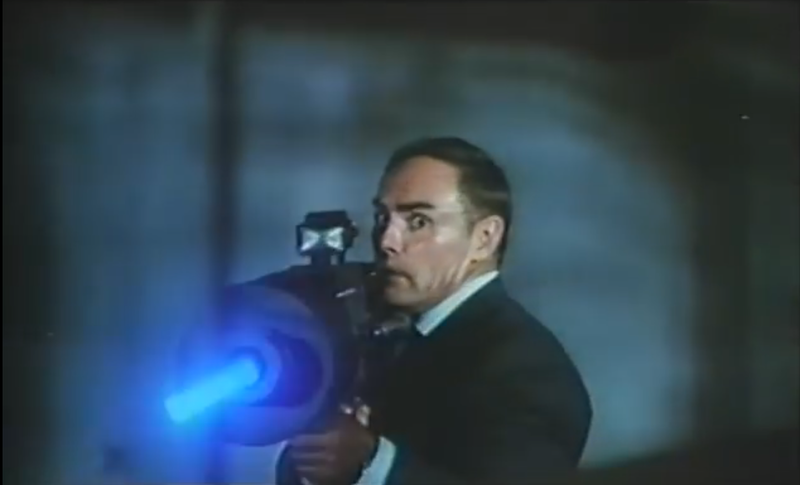 It is obvious that John Saxon's guest appearance added a familiar face to the cast. It is also evident that they only have limited time to shoot with Saxon. His is the only dialogue which was not dubbed, but Sergio Martino did a pretty good job getting the most bang for his buck out of Saxon. The story is pretty standard but works well. 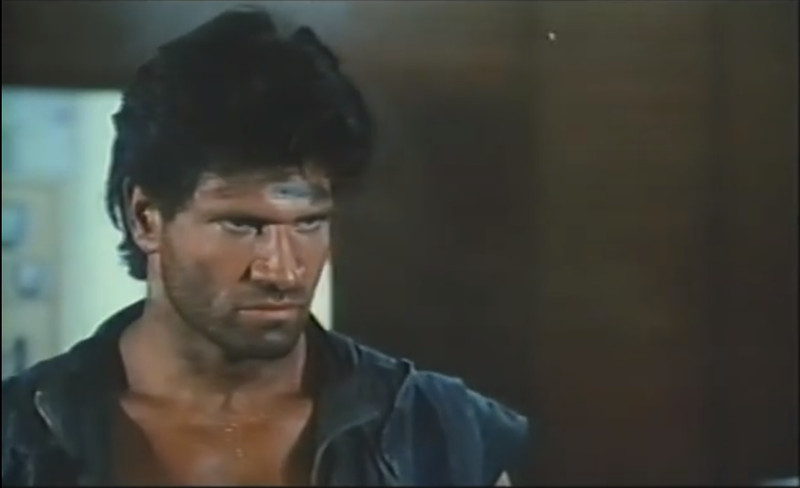 A cyborg trained to be an assassin goes awol after failing to complete his assignment. The shady agency responsible for the cyborg try track him down and terminate him. Saxon plays the head of this organisation and he appoints two hit men. One of the hitmen gets swapped about a quarter of the way through, but it kinda works. The new hit man is much more charismatic. The dialogue is cheesy just how we like it. There are some good sets and a few memorable scenes. 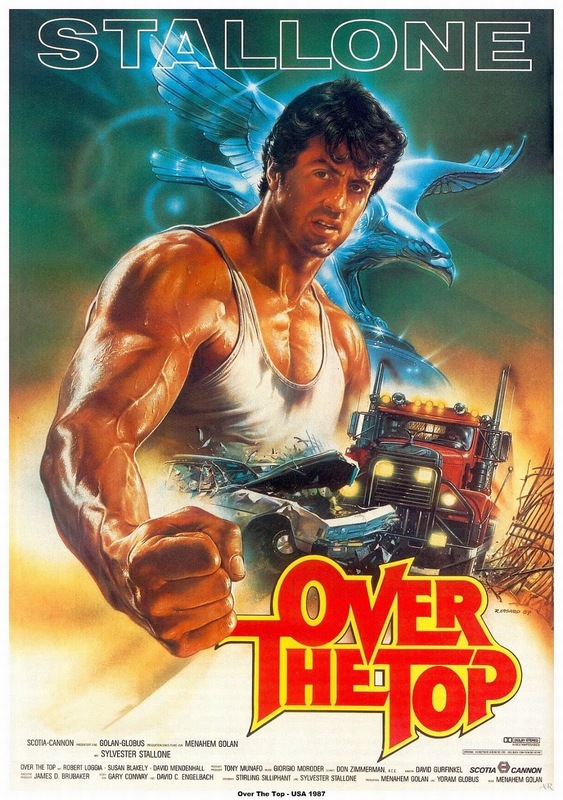 The arm wrestling mini story is a little messy but I guess Martino may have pre-emped a successful year for the arm wrestling theme with the release of Stallone's Over The Top in the same year. In fact the two tiles for this film seem to be hedging their bets. 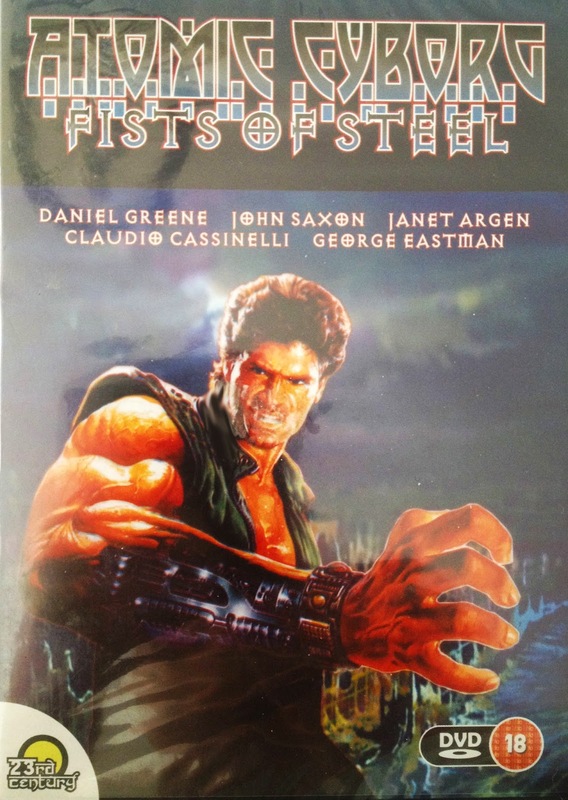 Atomic Cyborg for The Terminator fans and Hands Of Steel for Over The Top fans, notice the similarity in the poster Art? The effects are pretty good for a low budget movie. Something that Martino was slowly becoming a master of. And it's obvious that this has some of Marinos classic touches, some taken from one of my favorite Martino movies 2019 - After The Fall of New York. This movie had so much potential. The characters were good, the writing was fine, it just seemed as though the budget held it back. There was an underlying story of the world being corrupt and the effects of pollution crippling the world, but it wasn't developed. There is a scene where the lead character - Pablo - drives through an acid rain area. This was great. There were hints all the way through that this was set in a dystopian future, but there was not enough evidence. The truck drivers, bad agents and good agents were the only real groups introduced. There was plenty of scope for a full on post apocalyptic style divide with mutants, rebels etc. There was a cool looking massive laser gun which only appears in the final scenes which was awesome. Props like this should have been introduced early on to establish the futuristic vibe. 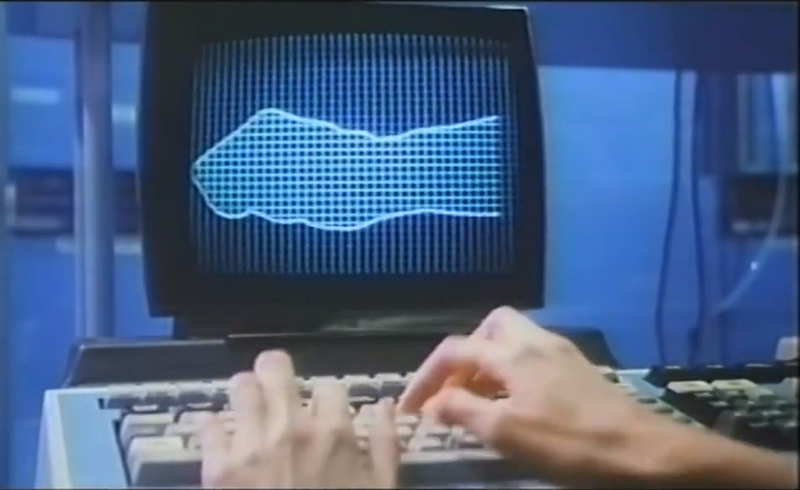 It would have added contrast to the run of the mill 80s American street scenes of the opening credits. The character development of the FBI agents was a little disappointing. It would have been nice to follow the plot of their story, but they were relegated to the background. Only occasionally cutting to their office. They could have revealed more about the background of the cyborg and also the world in which the story is set. The love story works well and is subtle. The ending is intentionally weird just for the sake of it, but I like it. Despite the lack of development of some characters and plot, all in all I really enjoyed this movie. Any fans of 80s B-Movies should pick it up. The DVD is quite rare, but it seems to be a VHS Rip anyhow so why not pick up an original VHS. Release Rating: 6/10 - Decent VHS picture and sound.